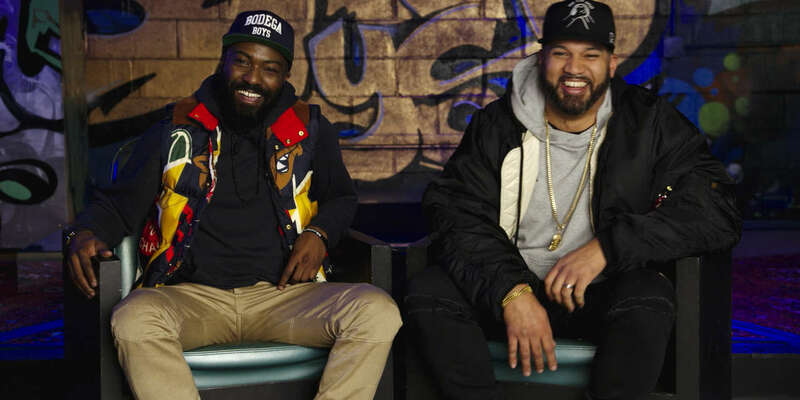 DESUS & MERO, Season 1: Longtime acquaintances Desus (Daniel Baker) and Mero (Joel Martinez) reconnected online in the early days of Twitter, where they unleashed their potent personalities and found themselves kindred spirits. That led to stints on Complex and MTV, the Bodega Boys podcast, and a daily late-night show on Viceland, developing a feverish following. The quick-witted duo brings a distinct voice to late night, delivering smart and comedic commentary on any and all topics, that keeps audiences buzzing. Desus and Mero continue to host their Bodega Boys podcast.